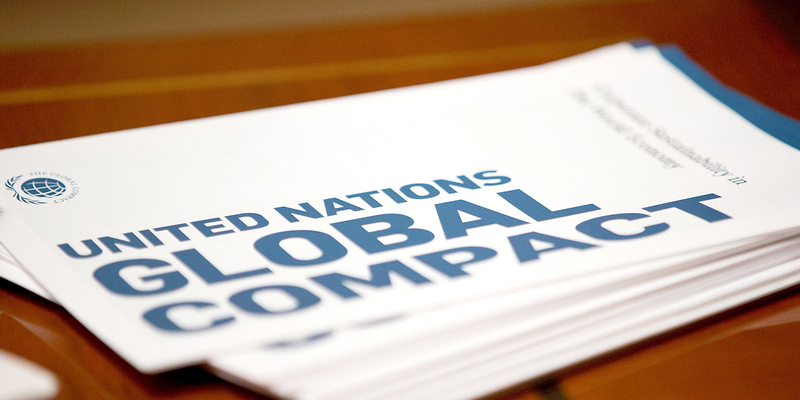 This month we uploaded the UN Global Compact’s Ten Principles to the Global Value Exchange. The Global Compact is an initiative which encourages businesses to operate responsibly in relation to human rights, labour rights, anti-corruption and the environment. By adopting these principles into their planning and operations, businesses can work towards improving the changes they generate for people and the planet. The initiative is part of a wider effort to achieve the Sustainable Development Goals. The Global Compact has been uploaded as a Shared Outcome Framework, allowing users to report against each of the principles as part of their myGVE project. By doing this, users can demonstrate how they aim to work towards achieving these principles, and the ways they seek to measure their impacts. We hope that this can help inform the work of businesses and other organisations towards achieving the Sustainable Development Goals. To start reporting against the Global Compact, create a myGVE project. After saving your project, click on the tab “Outcomes Part of a Shared Outcome Framework,” and select “UN Global Compact’s Ten Principles” from the dropdown menu. You can then start to demonstrate how your work and impact measurement aligns with the principles. To view the framework, click here. For more information on the Global Compact, click here.